Shattila Ekadashi January 2019 Importance - Mantra - How to do Puja on Shattila Ekadashi? Shattila Ekadasi is observed during the waning phase of moon in the month of January/February. The importance of Sat Tila Ekadasi was narrated to Yudhishtira by Lord Krishna and is found in the Bhavishyottara Purana. 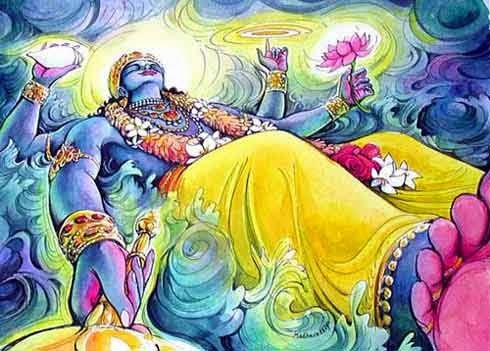 Shattila Ekadasi 2019 date is January 31. Ekadashi Fasting is dedicated to Lord Vishnu and is observed on the 11th day of waning and waxing phase of moon in traditional Hindu calendar. The name of the Ekadashi is Sat-Tila as it is believed that donating Til (Sesame) seeds on this day will help in redeeming sins. It is also considered highly auspicious to take bath in water mixed with til (sesame seeds) and offer oblations to dead ancestors with water mixed with sesame seeds. It is also believed that Til should be used in six different types of ways on the day. That is why the Ekadasi got the name Shattila - six types of til. It must be noted that Sat-tila Ekadasi takes place in North India during winter season and Sesame seeds is considered to be highly beneficial during the period. All the normal rules associated with Ekadasi fasting are observed on the day. Food made of rice and grains are avoided. Some people do consume some sesame seeds on the day. Take bath by mixing Til in water. Apply Til paste on face and hands and wash it away. Donate Til (black til should be used). The mantra 'Om Namo Bhagavate Vasudevaya' should be chanted 108 times if possible using a Tulsi Mala. How to Observe Shattila Ekadashi? Wake up just before sunrise and take bath in water mixed with til (sesame). The puja should be performed early in the morning or during sunset. The person performing the puja should wear yellow or pink color clothes. After performing bath, the person should take a vessel fill it with water. Put a handful of black or white til in the water. Close the mouth of the vessel using coconut and mango leaves. This should kept on a yellow or pink color cloth along with picture, sculpture of painting of Bhagavan Vishnu. The lamp on the day should be lit using sesame oil or ghee. It is advised to make the lamp using atta (flour). Light a camphor or agarbatti and keep some til on it. This is equal to offering Til in Havan. Yellow or pink flowers should be offered. Dhoop or agarbatti should be of chandan or gulab (rose). Til ladoo should be kept as prasad or any sweet preparation using sesame. This should be later distributed among family members. ॐ नमो भगवाते वासुदेवाय॥ Chant the mantra 108 times using a chandan mala. At night, arghya should be performed to Chandra. Take water in a vessel mix it with Til and show to Chandra Bhagavan (moon god). In the evening, pour tulsi mixed water under a tulsi plant. Worshipping peepal tree on the day will help in having and long and peaceful married life. Worshipping peepal and planting a new tree and taking care of it will help the spouse in having an incident free life. For victory in court cases, feed yellow color bananas to cow. To avoid financial trouble, chant 'ऊँ नमो भगवते वासुदेवाय' sitting under a Peepal tree. It should be chanted 108 times. For success in business, donate books and yellow color clothes to poor children.